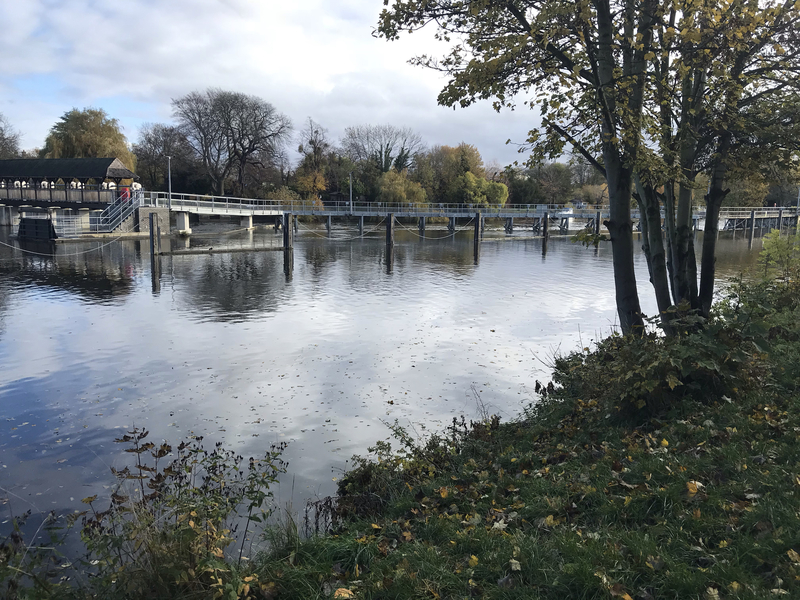 On Sunday 11th November, hundreds of athletes joined Emma Preston and Clint Nykamp at Walton on Thames for the Remembrance Day Marathon, marking 100 years since the end of the First World War. To donate to the 12 Marathons Challenge, please click here. This powerful and emotive occasion has made this race especially important in the 12 Marathons Challenge. The race was designed as an ‘out and back’ course. Runners used the same stretch of three and a half miles and completed this eight times. 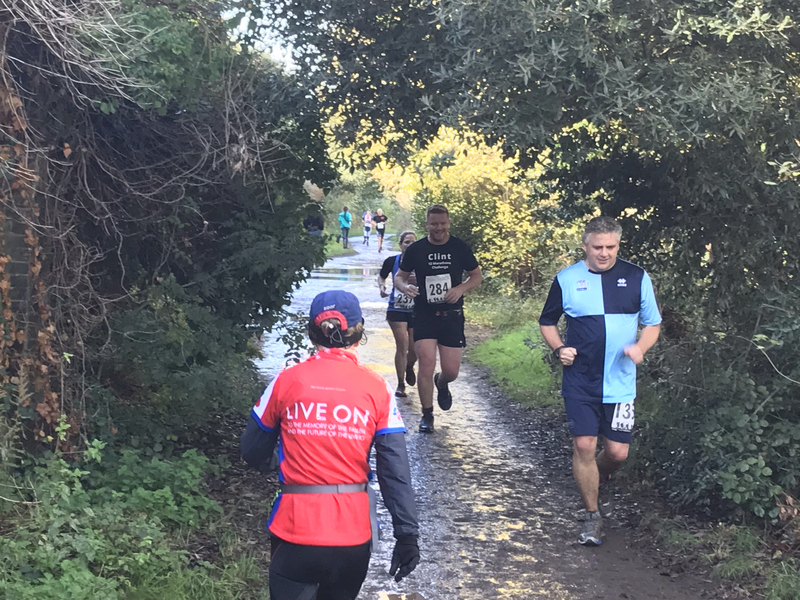 Despite the repetitive nature of the course, Emma noted how motivated she felt to have runners in her sight-line for the whole race, which wasn’t the case for some of the other marathons, like Isle of Wight and Yeovil. Emma and Clint high-fived each other seven times as they crossed paths in the race! Emma said: “Wow, this was a muddy race! My trainers were squelching with mud and water by the end. 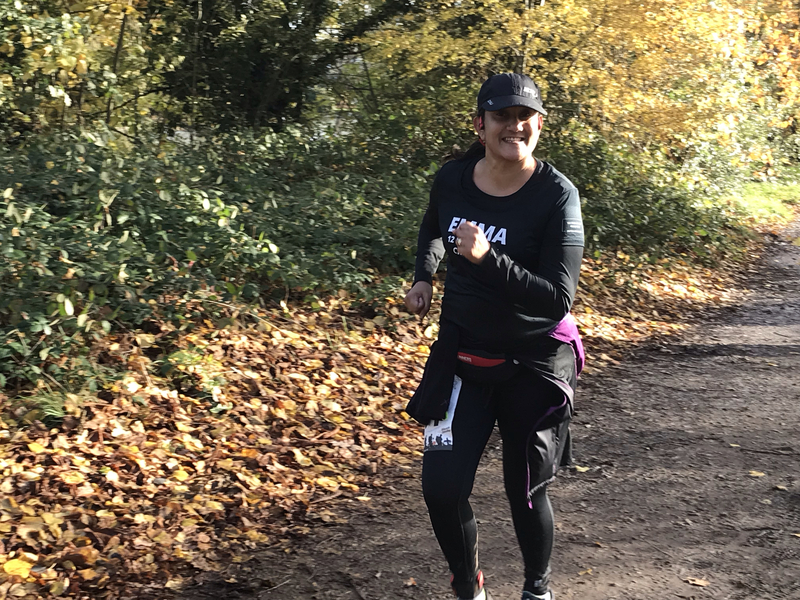 “It was a flat course and great to have lots of runners alongside me. Some of our previous races have been really quiet so this was a refreshing change. “The two-minute silence at 11am made the whole experience for me. The air horn sounded and all competitors stood still, cyclists dismounted and passers-by halted. Everyone stopped and reflected, it was amazing and incredibly moving. “It was lovely to have Matthew [Pryke, The Fine & Country Foundation’s lawyer] join us on the day. He ran with me, cheered us on and interviewed me mid-race. 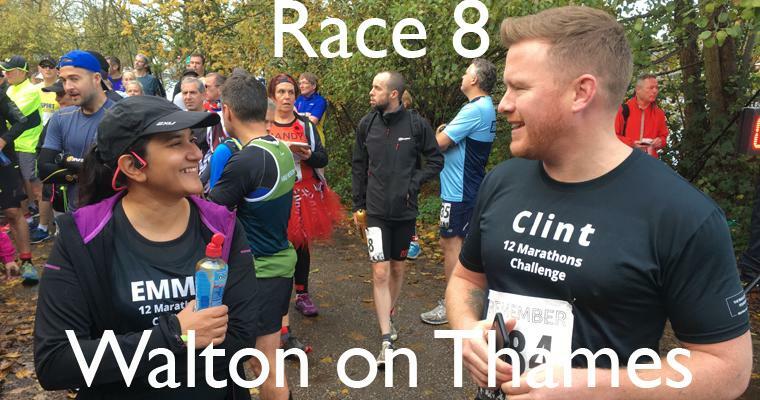 Clint said: “It was another early start on Sunday morning to drive two hours to Walton on Thames. I started my journey at 5.30am and as I drove further south, the rain became more and more torrential. “Thankfully the rain eased off, or at least it did for most of the race. At a few points of the course it tipped it down and we were forced to run around and jump over puddles. I was a little jealous of Emma’s coat because it was freezing. To support Clint and Emma’s challenge, please click here.